Natural swimming pools have gained popularity throughout many residential areas. With crystal clear waters, plants and wildlife and a beautiful appeal; they seem to provide a nice place for you to relax when the days are warm, and the sun is high. If you’re considering a natural pool, here are some ideas that are really going to make a difference on how you swim and enjoy your backyard. The seamless pool makes it seem like there is just a body of water in your backyard, but it meshes with those plants around it. It doesn’t have a clear edge where it stops, though it does but it provides a nice, natural appearance which is what you’re going for when placing a pool in the backyard. Waterfalls are a great natural pool selection to have. The water can recycle itself and clean itself using the waterfall on the edge. They’re also pretty. When you have a natural waterfall created, you can even have a nook inside it where you can spend a little time. Being cleaned by the plants that go in the water and are by the edges, these natural pools look a lot like ponds. They provide the user with a way to feel refreshed without having to worry about keeping up with a pool or a pond, since they are self-cleaning, and the water stays clear. 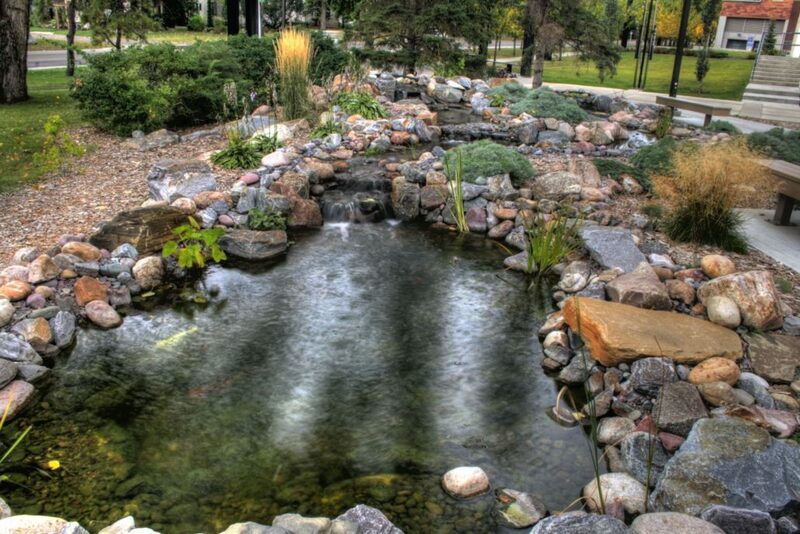 Landscaping contractors can help you decide what natural pool is the best for your backyard. Speak with them to find out what exactly needs to be done and which might be the best choice for you to go with. Contractors Today has connections to many of the local landscape contractors that are working in your area. Give us a call or fill out the form today to get even more information.